Mandy Mulder & 2x F18 World Champ, Coen de Koning lead after 9 races, followed by Jason & Lisa. In 3rd place Bora Gulari & Louisa Chafee, both are the stars of this event. Gulari is a well known Moth Champ, but I never saw him racing Multis, less in a way that can put him and his crew on a plane to Rio. 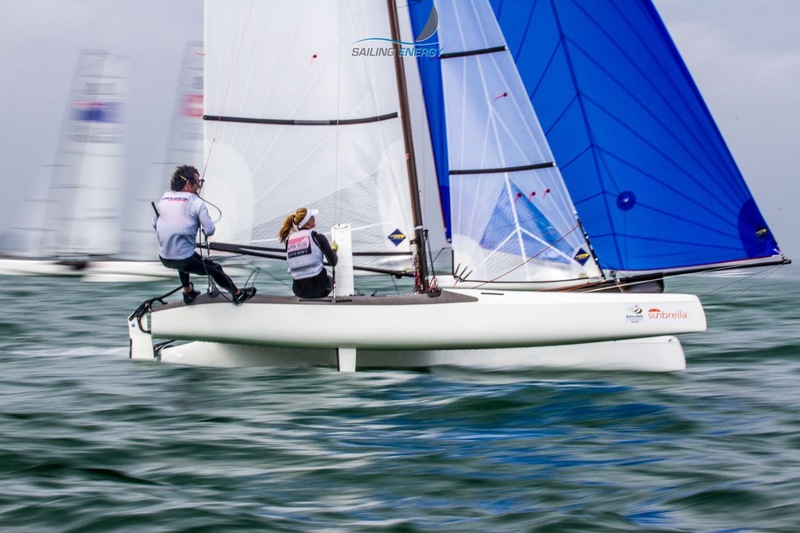 Incredible performance for the Nacra 17 rookies, racing 1 on 1 with the best Olympic hopes out there.